It’s that day of the week again, yes Friday. The day the box office is set ablaze by the latest Bollywood movie. This week’s movie is Shaandaar. A movie touted as being ‘India’s first destination wedding film.’ While the movie might be first of its kind for India, the theme is not. Destination weddings have always been hugely popular, a culture fad. Flying out your entire family for a week long extravaganza, where you commemorate your love and then just relax and enjoy for a few days, who wouldn’t want that? So on this Shaandaar occasion we bring to you 6 places that would be perfect for a destination wedding. So all you to-be-married couples out there, you might want to take a look at this, so you get an idea of where to book your flight tickets to. Mexico has long been a favourite as far as destination weddings are concerned. Its vibrant culture, sandy beaches and pleasant temperature is the reason for it. 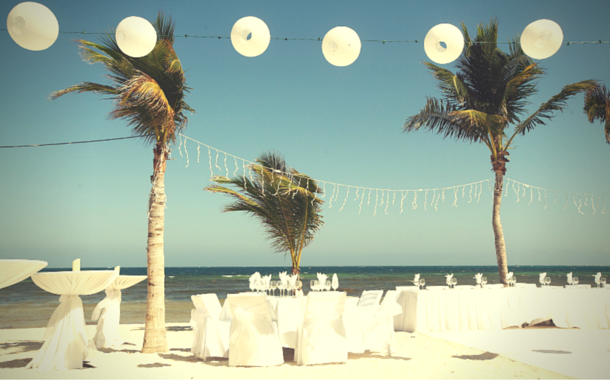 The warm sunny Mexico is an ideal destination, especially for beach weddings. The spicy yet delicious local cuisine will have your guests licking their fingers. The Mexicans are also known for their great partying lifestyle, so expect your wedding party to go on till the wee hours of morning. If tradition and old world charm is what you crave, then Mexico has that in store, with Cancun or the ruins in Riviera Maya being ideal places. 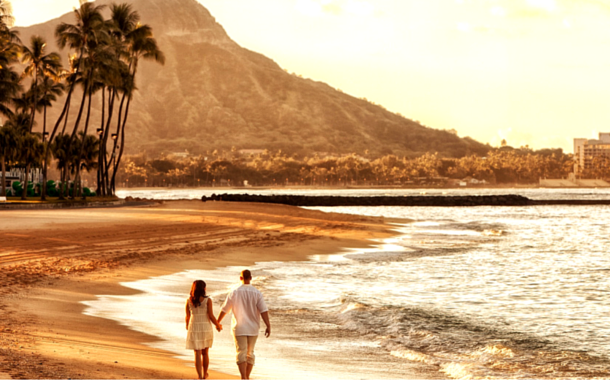 Hawaii conjures up an image of a warm tropical paradise. A place swaying with green coconut trees, sandy beaches, and an overall atmosphere of fun and relaxation. The beaches of Hawaii are known for their beauty, often emitting a palate of colours. The backdrop of the gushing waters, with the setting sun engulfing everything in its pinkish-red hue makes for a perfect, romantic wedding setting. What better than Paris, the city of love, to make an eternal promise, to the one you love? 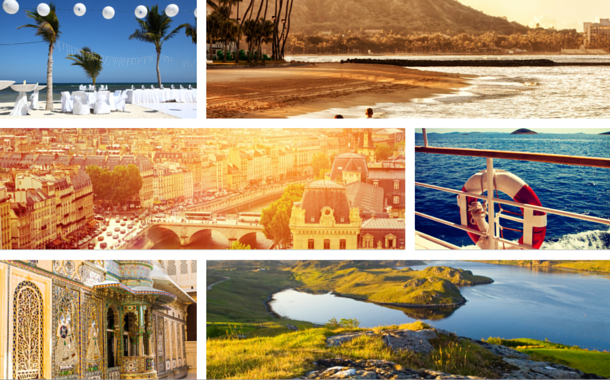 Anywhere in Europe makes for a perfect destination for a wedding, but we’re slightly more biased towards Paris. 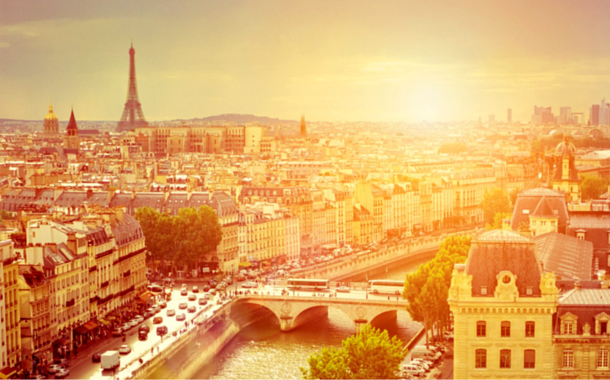 There’s just something in the air of Paris that brings out the romantic within you. It’s also a perfect honeymoon destination, which means if you get married in Paris you can save up on having to spend on your honeymoon. Perfect for a budgeted experience. 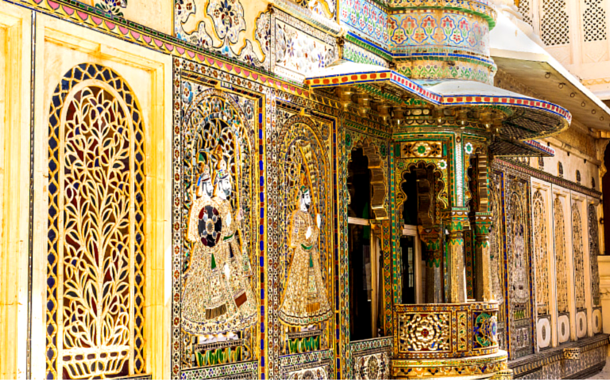 Rajasthan, a land of vast deserts and royal palaces. The unique culture of Rajasthan is what attracts couples from all over the world. The royal palaces make for an ideal destination. The cuisine, colours, people all come together to make Rajasthan a perfect place for a destination wedding. From Udaipur, Jaisalmer to the gorgeous pink city of Jaipur, all make for picture perfect destinations. This European country is made of beautiful landscapes and fairytale castles. 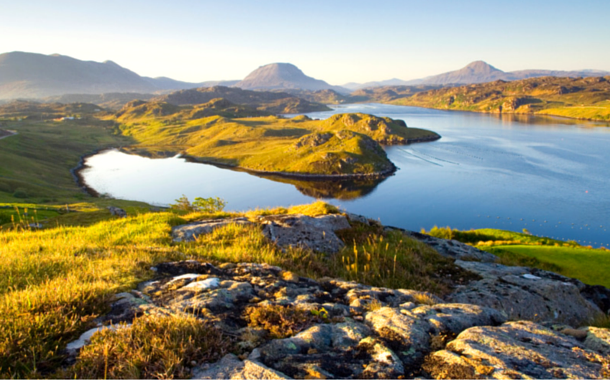 Located to the northern part of the United Kingdom, the lands of Scotland give out an old world, rustic vibe, making it a breath taking destination for a wedding. Cobbled alley ways, ancient castles, vast moors all make for a stunning scenario. What’s more, Scotland even has a thriving nightlife to keep the party going till the break of dawn. Cruise weddings are a slightly unusual concept, but over the past years they’ve been gaining a lot of traction. 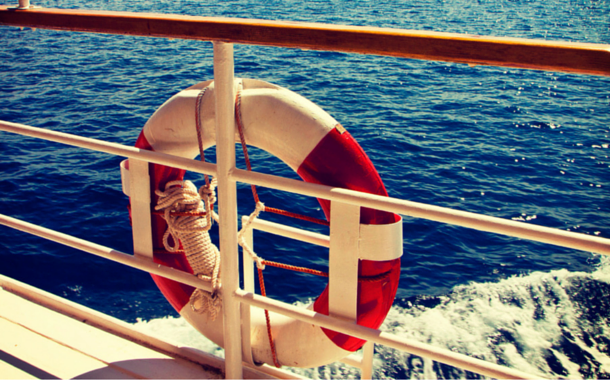 If you can’t decide on one single destination, get on a cruise and make the roaring water your place. Promising your eternal love in the midst of the vast sea sounds at once thrilling and romantic.